For the 'Fish Alive' nursery rhyme we tested floating and sinking with some interesting results. Bushfire prevention guys appeared today! Do much for giving me 48 hours notice! They are starting on the ramp today! Cold, misty and sunny this morning! The kids were busy in Japanese learning animal names and one of my students looked for good examples of onomatopoeia in our comic books to make a chart. Tiani from Prime popped in to see if we were happy with our TV advertising and the 'Tree Fellas' chopped down some branches away from powerlines on Longs Hill Road and gave us the barkchips! ( They think the road might be widened?) I'm going to have a bit of work to do in the weekend! I enjoyed the sun which popped out at lunchtime today. 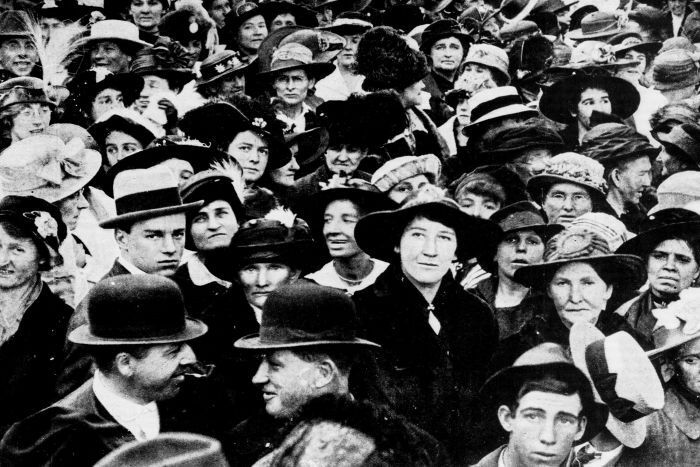 Next week will mark 100 years since The Great Strike of 1917, when 100,000 workers around Australia walked off the job to protest changing workplace conditions. 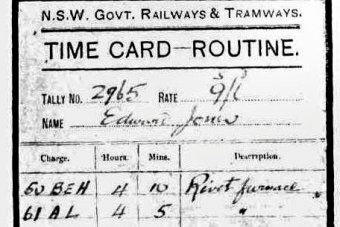 The source of consternation was the introduction of time cards, designed to monitor worker productivity. As part of the new workplace systems, foremen began watching over labourers, counting the time it took them to do certain tasks. The strikers called it "Americanising work" or "Robotism". The managers, "scientific management". Workers believed the new system was turning them into machines, de-skilling them and destroying their collective bonds. 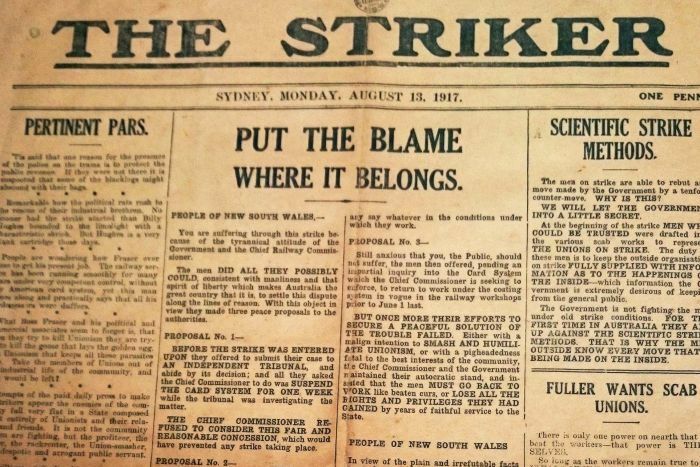 Their concerns came to a head at 9am on August 2, 1917, when employees at the Randwick tram and Eveleigh railways workshops in Sydney called a strike. 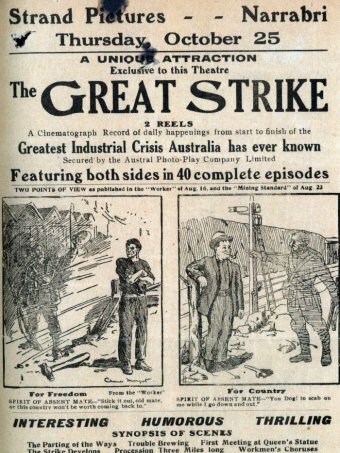 With Australia still deeply involved in the war effort, it was a controversial time to launch large scale industrial action. Families and communities were divided over whether to strike during wartime, but it didn't stop hundreds of thousands of people rallying in cities around the country. Among the strikers was Ben Chifley, who later became prime minister — he lost his job as an engine driver because of his participation. The strike was declared over a month later, without having achieved its objectives. The movement had lost. In the end, the strike proved devastating for the labour movement, which was already split over conscription. Yet the Great Strike of 1917 is an event that resonates today. The dispute wasn't about pay, but the impact of technology and new forms of work organisation. A worker from 1917 wouldn't have any trouble in understanding contemporary media discussions. We're dealing with a similar situation: new technology — automation, robots, algorithms and the gig economy — is changing the way we work. The algorithm of 1917 was the time card. In 2017, this style of workplace management is on the rise again. It's called digital Taylorism, with software and other tools increasing the ability of management to break down, monitor and analyse performance. As the modern workplace changes, workers may again decide they need to stand up for their rights and negotiate workable conditions with their employers. Time will tell if they're more successful than the strikers of 1917. The Department of Education and Training has released a discussion paper on regional, rural and remote education. The review, led by Emeritus Professor John Halsey of Flinders University, will consider the key challenges and barriers that impact on students' learning outcomes, including transitions toward, and success regarding, further study, training and employment. The AEU will make a submission to the review and engage with members in rural and regional areas in the coming weeks to ensure the voice of principals, teachers and ES are heard loudly and clearly both in terms of the challenges faced but also the key solutions. I informed the AEU PCA of this and I'm glad they posted this. I also sent it to my executive director, regional director, DET Secretary and Minister. It will be interesting to see if they promote this for teacher/ principal input as the AEU is doing? The timeline for submissions is very short. They are due on August 29th. Country students will be the focus of an independent review into regional, rural and remote education. The review will consider the key challenges and barriers that impact on students’ learning outcomes, including transitions toward, and success regarding, further study, training and employment. The review will be led by Emeritus Professor John Halsey of Flinders University. The final report and recommendations will be provided to the Government by the end of 2017. I believe that it is important to have all voices heard. Because it has been a ‘well-kept secret’ can I ask you to ensure that the existence of the inquiry is made known to all school leaders and that it would be a perfect opportunity to inform the Commonwealth of important issues affecting rural and regional education in Victoria. The next DET School update may be too late for the deadline. Can I suggest a direct memo out to Principals. I have discussed this matter with the Office of the Federal Deputy Leader of the Opposition and Education Spokesperson and AEU and have their support in encouraging participation in the inquiry. I have also sent this email to my SEIL , Area Executive Director, Regional Director and the Minister’s office. The portal can be accessed from this link. Oh, and here is the lovely silent movie star Louise Brooks with a koala ( I don't know why) and from the same era (1920s) an impression of the future ( interesting) also s potential cold cure for me? One of my ex students is playing the role of Oliver in a production of the musical in Geelong. He is very talented. Love Google's tribute to Aboriginal artist Albert Namatjira. Labor will restore every dollar that Malcolm Turnbull has cut from schools. Every single dollar. Busy at the fire station this morning??? Our second swimming session and the kids are doing very well. Oh....and big news from Trumpville- President Trump donates his 2nd quarter salary — $100,000 — to the Department of Education. He has CUT $9 billion from their budget! At Her Majesty's in Melbourne with the kids to see Aladdin! Ushers are very strict about photos!!!! My grade 3 student just finished a unit on the wonderful 'Frog' stories by Max Velthuijs. We made some 'hungry frogs'. It is his favourite spot! Cows checking out the better looking grass on the other side of the fence! Winner of the worst cover art ever? A boy sits amid the ruins of a London bookshop after an air raid Oct,8, 1940, reading a book. I hope he wasn't shot for looting! We had a busy morning today with Japanese to start, making Cats for the Owl and the Pussycat, finishing our Italian work on face words and completing comprehension tasks using a Tarzan DVD. The bushfire prevention people will start work this week. I'm a bit annoyed at their plans which have of course changed without any consultation but not much I can do! 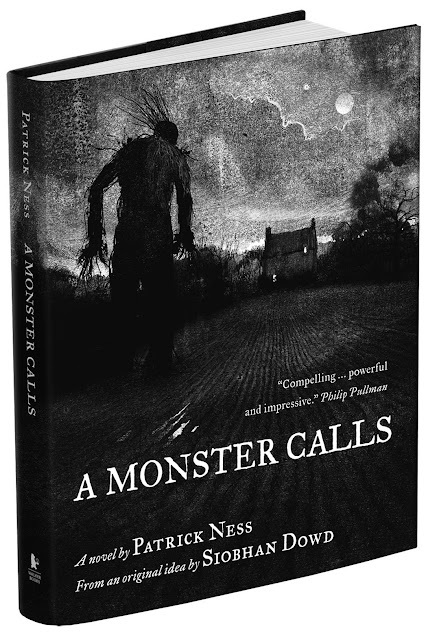 Today I will also post my A Monster Calls unit before the movie release here in Australia. Wouldn't this have been great! Science Fiction gold....no pun intended. Teacher retention crisis in the U.K. So where are the state schools? State governments won't budge....but they should. Inspiration for the Iron Giant?